Who is a Jewish mother? One morning at 3 a.m., as I was holding my 8-month-old son and worrying about his stuffy nose, it suddenly occurred to me – I am now a Jewish mother. Fortunately, three books released this year help new mothers like me learn about their new role and glean some wisdom from their pages. 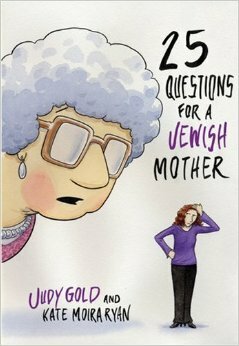 title implies, they asked them each 25 questions; topics range from religious observance – “Do you find Judaism limiting or empowering?” and “Are you kosher?” – to parenting – “Do you approve of your children’s choices?” and “What is Jewish mother guilt?” Interspersed with quotes by mothers from all Jewish backgrounds, Gold writes about her relationship with her mom and her own journey through parenthood. 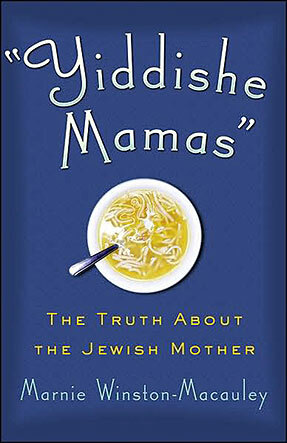 In “‘Yiddishe Mamas’: The Truth About the Jewish Mother” (Andrews McMeel, $14.95 paperback) by Marnie Winston-Macauley, the author starts out by addressing the stereotype of the Jewish mother. Who is she? 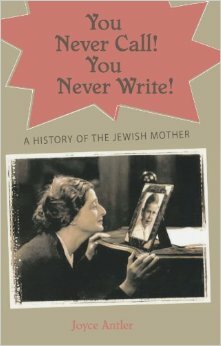 In one chapter, “Yes, they, too, are Jewish mothers,” Winston-Macauley interviews many different types of Jewish mothers – from early American settlers to female rabbis. There’s even an interview with the Valley’s own Rabbi Bonnie Koppell, in a section called, “This land is our land,” about mothers in the military. “You Never Call! You Never Write! A History of the Jewish Mother” (Oxford University Press, $24.95 hardcover) by Joyce Antler follows the evolution of the Jewish mother from the turn of the 20th century until today. For many in my generation, the “Jewish mother” stereotype is deeply embedded in our minds, but it’s actually relatively new. In fact, according to Antler, the Jewish mother jokes originated in the heyday of the Borscht Belt in the 1940s and 1950s. Although each of these three books takes a different approach in exploring what a Jewish mother is, they all have the same message: There are all different types of Jewish mothers. And I have a feeling that most mothers, regardless of religion or nationality, are up in the middle of the night worrying about their babies. This first appeared in the May 11, 2007 issue of Jewish News of Greater Phoenix.